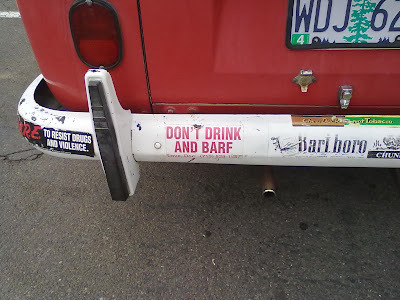 I'd seen this thing minibus driving around Portland before, but this time it was at my local gas station. It's a VW minibus painted with what looks to be Marlboro livery. 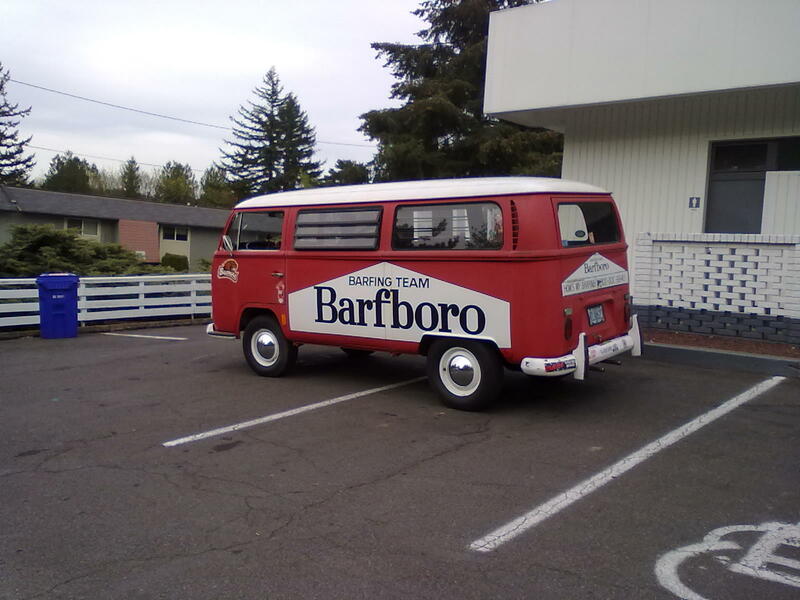 However, it says "Barfboro Barfing Team." This is, of course, immediately funny, conjuring up all sorts of mental images. Whether you smoke or not, the bumper sticker below is pretty hilarious, too. FYI, the van, which is somewhat legendary in Portland, is owned by Erik Vidstrand, a Multnomah County health educator and anti-smoking advocate.